Hurricanes and wildfires doubled estimated catastrophe-related insurance claims to $136 bln in 2017. Reinsurers and cat-bond holders have had a bad year. A hotter planet suggests more pain. But a surfeit of investors chasing uncorrelated returns will keep the cash flooding in. 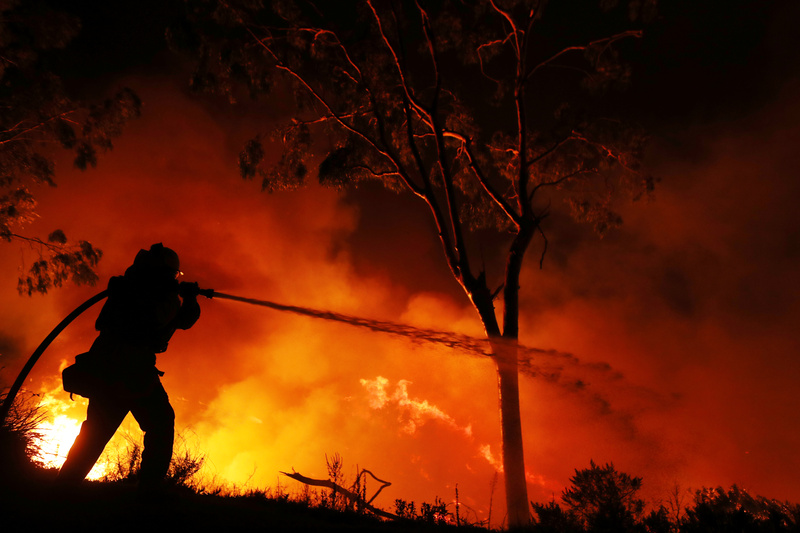 A firefighter is working on extinguishing the Lilac Fire, a fast moving wildfire in Bonsall, California, U.S., December 7, 2017. Swiss Re estimates total global economic losses from natural and man-made disasters were $306 billion in 2017, the company said on Dec. 21. Global insured losses will be an estimated $136 billion, more than double the 2016 figure and the third highest on record. Natural catastrophes accounted for $131 billion of this year's insured losses, and man-made disasters $5 billion. “The accumulation of economic and insured losses ramped up in the second half of the year, due primarily to the three hurricanes – Harvey, Irma and Maria – that hit the U.S. and the Caribbean, and wildfires in California,” said the reinsurer. The Eurekahedge ILS Advisers Index, which tracks 34 funds that invest in insurance-linked securities and reinsurance-linked and catastrophe bonds is down 6.8 percent so far this year. The only year the index had previously posted a negative return in the past decade was 2011, when it fell 0.1 percent.